Israel’s Ambassador to Prague Daniel Meron wrote to the Foreign Ministry that Jerusalem’s efforts had paid off and the Czech Republic had “begun a quiet internal staff evaluation to examine the possibilities and risks regarding the transfer of its embassy,” a translation of the classified cable by the Times of Israel said. Meron added that the final decision will rest with Czech Prime Minister Andrej Babis, who isn’t particularly warm to the idea but could be swayed by his fellow countrymen. “At the same time, the prime minister is very influenced by public opinion, which is well-known to be pro-Israel,” Meron wrote. He added that it was critical for Jerusalem to continue its diplomatic outreach, including bolstering support by turning to Czech President Milos Zeman, a steadfast friend of Israel who recently endorsed the embassy move. Zeman was very appreciative of a letter he received from Washington lobby AIPAC thanking him for his support of the embassy move, Meron said. He added that the Czech president also planned to host an Israeli Independence Day celebration at his residence next month. “The discussions [on this issue] continue and we have learned that a ministerial team was also set up, including the president’s adviser, the deputy foreign minister and the prime minister’s adviser for internal coordination on the possibility of transferring the embassy to Jerusalem,” Meron wrote. 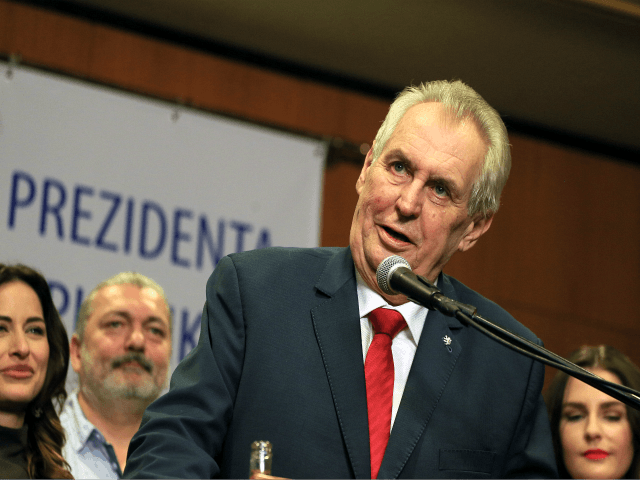 A local Czech paper two weeks ago reported that Zeman wants to follow the lead set by the U.S. and expedite the embassy relocation process. However, the Lidové noviny newspaper also said that the Czech foreign ministry was against the move because of concerns about a backlash from its European Union partners.